The Denver Nuggets are coming off of a game in which they fell 108-118 to the Utah Jazz on Tuesday evening. Denver struggled on the defensive end and allowed Donovan Mitchell to go off for a 46-point explosion to ensure the victory. To make matters worse, All-Star Nikola Jokic had one of the worst games of his career as he finished with only two points, two assists and five rebounds on the night as Utah held him in check in ways that very few teams have been able to. Although the Nuggets lost, things were not all bad for Denver. The Nuggets would have locked in the second seed had they beaten the Jazz but they did not. Still, Denver received other help from other teams around the league. They were hoping for the Oklahoma City Thunder to beat the Houston Rockets to allow Denver to secure the second seed with a win against the Minnesota Timberwolves on Wednesday and Oklahoma City delivered on that wish thanks to a Paul George 3-pointer in the final seconds setting to seal the win and to give Denver control of their own destiny in Wednesday’s game. The chances of winning looked bleak against the Timberwolves for three quarters, but with Denver putting on a defensive clinic in the fourth quarter, the Nuggets ended up winning 99-95 on Fan Appreciation night at the Pepsi Center to finish out the year with a 54-28 record which tied their second-best regular season record in franchise history. 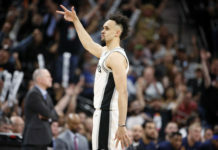 After the final game of the 2018-19 season, here are the good, bad and ugly. There is something about Game 82 for Denver. For the last two years, the Nuggets season ended in Minnesota, but this year was different as Denver came into their game with a playoff spot already secured for the first time in six years. 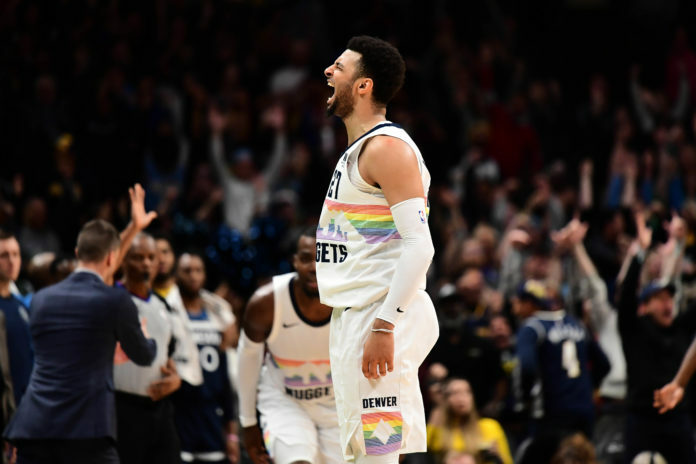 Still, despite a lackluster first three quarters, the Nuggets fought back on Wednesday for one of their most improbable wins of the entire season. This game was not pretty and looked as if the Nuggets were going to suffer their worst loss of the new year, but they somehow came away with a win after going on a 15-0 run in the final four minutes and after limiting the Timberwolves to just 16 points in the fourth quarter. After struggling offensively, it was Denver’s defense that came alive. Denver was down by as many as 11 points with just three minutes remaining in the game, but put on a defensive clinic to close out the win over Minnesota. Denver buckled down defensively in the final frame, but also hit some tough shots which gave the Nuggets hope. After Minnesota went on a 5-0 run to take an 11-point lead in the fourth quarter, Denver responded with strong defense and a Paul Millsap 3-pointer to make it a two-point game with 1:30 left to play. Denver then capped off that run with a Jamal Murray 3-pointer to give Denver a 96-95 lead and then Jokic sank free throws to seal the game. Now, after the miraculous comeback, the Nuggets are the second seed in the Western Conference heading into the playoffs. No game in the NBA is easy, but when looking at the injury report heading into this matchup, it seemed like this would be a chance for the Nuggets to win convincingly. The Timberwolves were without seven players including three of their starters — Jeff Teague, Taj Gibson and Karl-Anthony Towns — but that did not matter as Minnesota was still trying to play spoiler. The Nuggets came out lackadaisical and only went through the motions in the three quarters. Denver did not come out with any energy and were not sharp which allowed the Timberwolves to hang around in the game and almost win it. Andrew Wiggins was converting early on and giving the Nuggets defense fits as he went into the halftime intermission with 14 points. The Nuggets let Minnesota hang around for a bit longer before finally coming into their own in the fourth quarter, but it appeared as if Denver was about to allow Minnesota to once again finish off the regular season with a win against Denver. 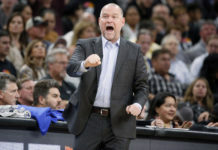 Denver lost their matchup against the Portland Trail Blazers on Sunday in a game where Malone was questioned if he were avoiding specific matchups in the playoffs after he decided to rest the starters despite having a late-game lead. Denver followed that up with a 10-point loss to Utah and, on Wednesday, they almost reached a new low as they barely got by a depleted Minnesota team. 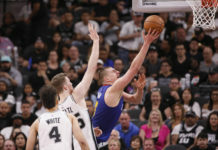 Execution will have to be the new norm for the Nuggets as they are going to be facing a San Antonio team in the first round of the playoffs that will surely be ready to exploit any mistakes. Gregg Popovich is a mastermind so Denver coming out with no energy, turnovers and/or bad defense will only end in a disappointing first-round exit so Denver must make some changes. Who knows; maybe the Nuggets were just disinterested and are thinking — just like the rest of us — that it is a very long season. All in all, the playoffs are finally here.